In celebration of our 300th issue, we look back to this article from 2007, which asked, "Will computer games ever truly breach the third dimension?" I don't believe 3D is the way forward for gaming. It's been a gimmick for 50 or 60 years now. ......... I WANT MY JONNY QUEST VIRTUAL WORLD!!!!! Man, I used to watch the cartoon only for the 'virtual world' in the ending. One day Cartoon Network skipped it for ads. I was so mad. OT: This makes me wish the Escapist was older, so I could be reading well-written, well thought out articles from 1993 about how RPGs are about to die and adventure games are the future. MOT (more on topic): When I heard of text based Quake I thought of the Doom roguelike. Aw yeah. Funny. This mentions seeReal, but fails to mention their prototype holographic displays, which, on paper at least, are way cooler than their autostereoscopic displays. But... Yeah, we have a long way to go yet. Although, mentioning ARquake, I suspect you can create your own implementation for a modest budget of $1000-2000 if you make use of a laptop, cheap GPS tranciever, and cheap VR glasses (Vusix comes to mind; They even have AR variants of their glasses, and some models have 6 axis head tracking as well. THIS. IS. SPAR THE ESCAPIST! I'm suprised that we don't have MORE 3D games. 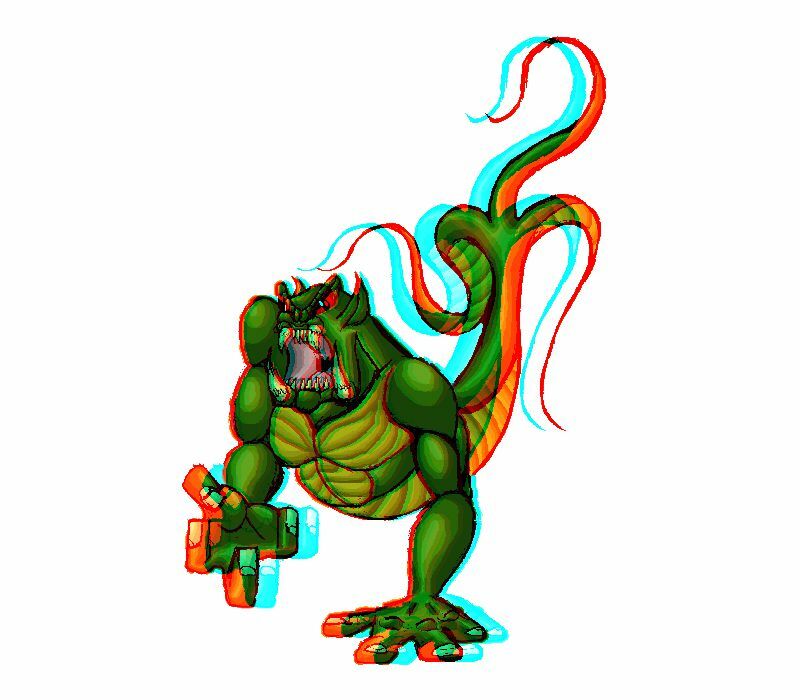 I love the red/blue (anaglyph) style, It's cheap and effective. Current generation "3D" is absolute pants. Nothing more than a gimmick distracting away from immersion. Let me know when they actually make a holodeck-type gaming system, and then I'll be interested in '3D' graphics. Volumetric 3D - Best 3D. Seriously. Thats the one I want.